What to put on your plebiscite ballot. Like most everyone, we're weary of Calgary's Olympic debate and are ready for some clarity one way or the other. It's been a strangely bitter and rancorous debate. There's a lot more we want to dig into. We feel like we've barely scratched the surface. Unfortunately, there's no time. It's time now for Calgarians to have their say. This city is ready for an answer. Newspapers have long had a tradition of trying to sway the citizenry one way or the other by making an endorsement before a big vote. At The Sprawl, we have our own riff on this tradition. But before we get to that, here are four things to keep in mind so you go to the polls clear-eyed. Boosters have portrayed the Games as a grassroots endeavour that benefits the entire city. But the economic benefits of the Olympics are overstated, and winter sports facilities tend to serve an elite segment of society once the Games leave town. A 2017 study by University of Toronto staff physician David Lawrence found that Olympic athletes in Canada, the U.S., Great Britain and Australia are disproportionately white and privately-educated—especially in the Winter Games. “A major barrier to participation in many sports is access to wealth," Lawrence said after his study came out last year. Marginalized people in host cities can also suffer. "You have the criminalization of people in public space," said Kate Jacobson, spokesperson for the group Better Spent 2026. "You think about how police in Vancouver were able to basically take homeless people off the streets and force them into shelters, which was a way of just getting homeless people off the streets of the Downtown Eastside." "That is not what I want to invite into our city." I'll confess that when BidCo first pitched its hosting plan in September, I thought that the many references to Truth and Reconciliation were a cynical ploy to earn public favour. 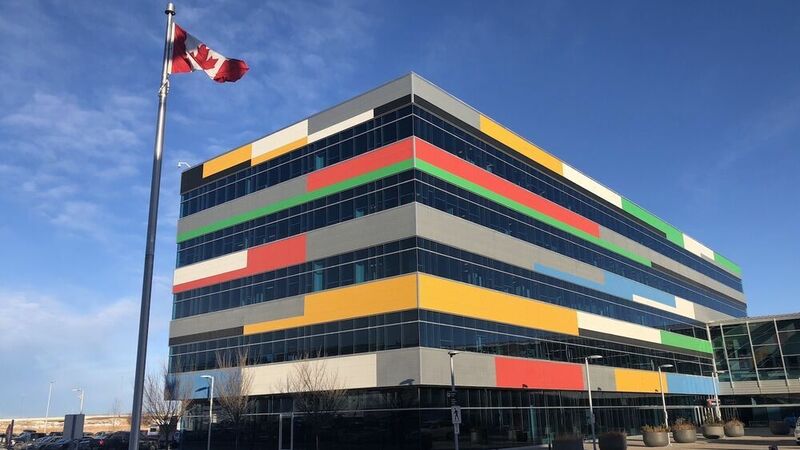 But when CBC hosted a town hall at the new library on November 7, Tsuut'ina Chief Lee Crowchild expressed support for a bid and what it could mean for Calgary and Treaty 7 nations. The 1988 Games involved Treaty 7 nations in a superficial, token way. A 2026 Games has the potential to be very different. "It's not just about economics," said Crowchild at the forum. "It's not just about who our athletes are. It's about what's the best for this land." The Truth and Reconciliation Commission specifically calls on governments to support Indigenous athlete development, and to engage local Indigenous communities when planning events like the Olympics. It’s not just about economics. It’s not just about who our athletes are. It’s about what’s the best for this land. Michelle Robinson, who hosts a podcast called Native Calgarian, has argued that another Calgary Games could be a catalyst for Indigenous sports programs for youth nationwide—among other possibilities for Indigenous people. "If there's an opportunity to add to the conversation of reconciliation, then we should take it," Robinson said on her November 5 podcast. 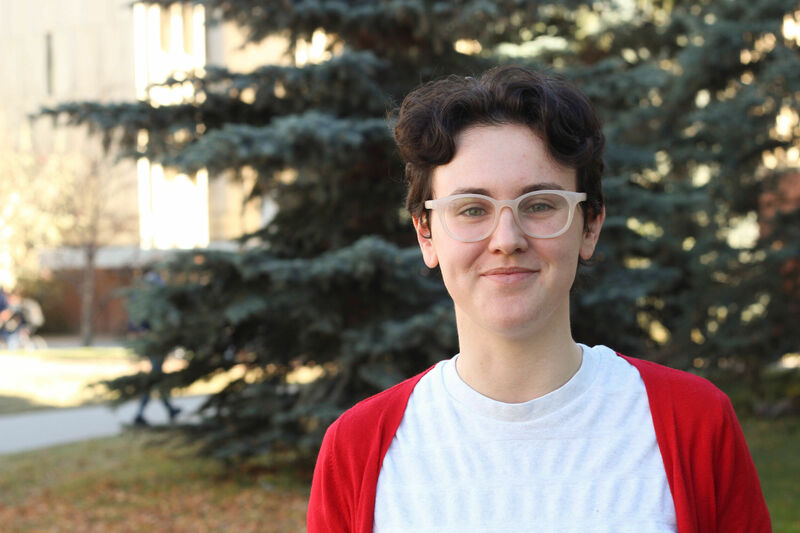 "To not want to try to expand the concept of reconciliation is such a missed opportunity." On paper, Calgary's games are relatively lean and mean, costing $5.1B (including $2.8B in public funds) and creating just two new venues: a fieldhouse and a 5,000-seat arena. It's extremely unlikely that Calgary would stick to this as its final plan. Mayor Naheed Nenshi, Councillor Jeff Davison and others on council have acknowledged that a new NHL arena—partially publicly-funded—is very likely in the cards. Davison tweeted Monday that if the bid goes ahead, he'll be looking for "cost-effective synergy" between the two projects. City admin has said that city hall can't afford all of the mega-projects that are on the horizon, including the Green Line, the Olympics, a new arena and expansion of the BMO Centre. "There are only a limited amount of dollars that this organization has," said Carla Male, the city's acting CFO, at city council October 31. "And so in making choices, you're making choices not to do something as well." 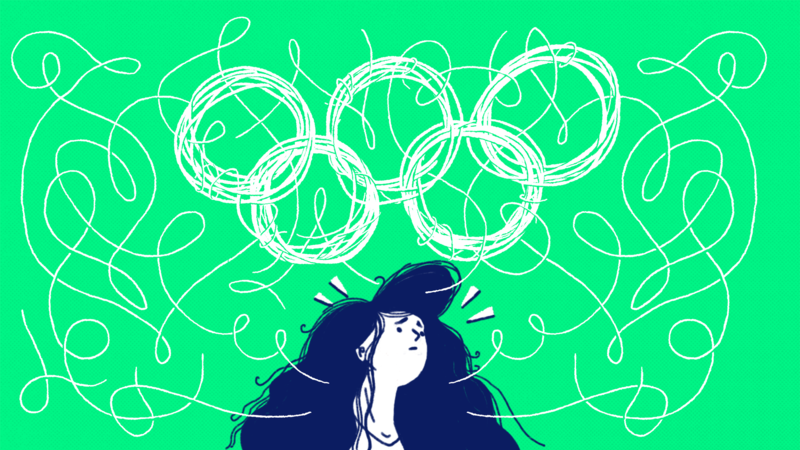 The Olympics can get things done in a city and mobilize communities in a powerful way. 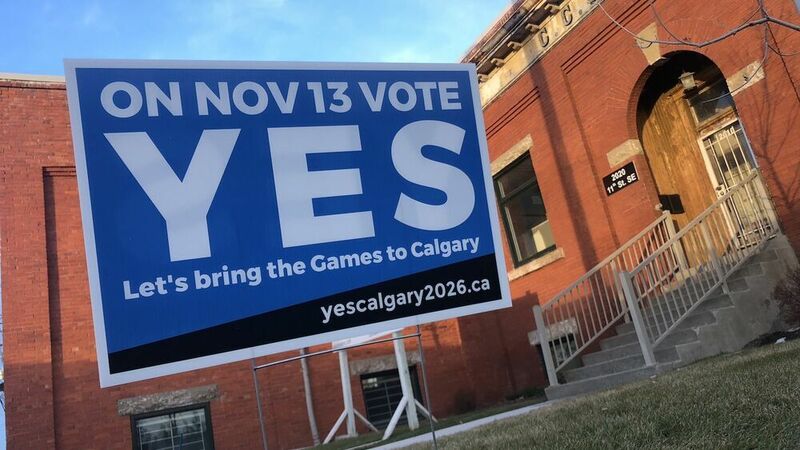 The problem is that Calgary hasn't figured out exactly what things it wants to get done—we only seem to know that we need the Olympics to do them. University of Calgary urban sociologist Harry Hiller, who has studied the Olympics extensively, expounded on this at a recent forum. He said that another Calgary Games, if done right, could give the city "momentum in its search for a new identity." "To my own sadness," Hiller said, "the city has been focusing on what we need to do to host the Olympics rather than specifying first what are the goals and the objectives of the city—and then showing the electorate how the Olympics will help us achieve our goals." Calgarians should keep all of this, and more, in mind when they vote on Tuesday. And please do make sure to vote, because this decision will shape Calgary's civic priorities for the next decade. 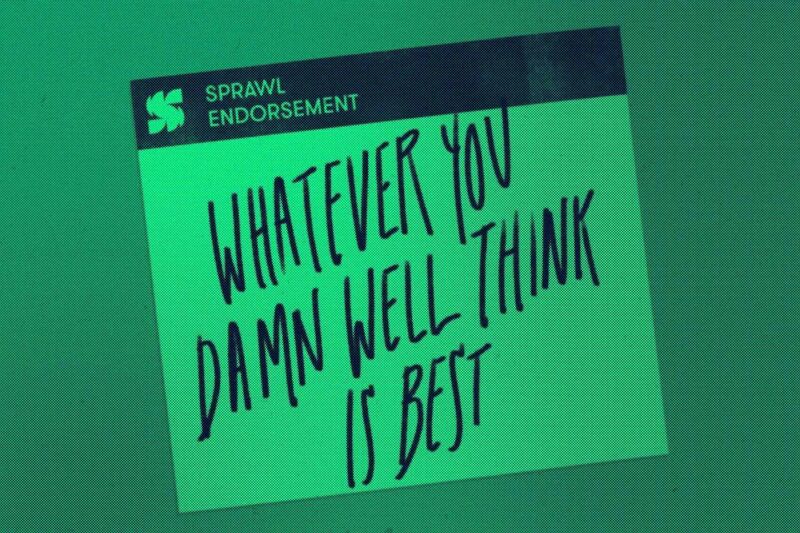 Time for The Sprawl's endorsement. You didn't think we'd actually tell you how to vote, did you? We know our readers are smart. They don't need us to tell them what to do. Now, go! Vote! Find your poll here. Thanks for following our plebiscite coverage, and see you on the other side of the vote. If you've appreciated our plebiscite coverage, please sign up as a monthly supporter of The Sprawl on Patreon. We're crowdfunded, ad-free and made in Calgary. Join the 500+ Calgarians who support The Sprawl! If you're looking for more information before you vote, we recommend listening to (or reading) our plebiscite primer Sprawlcast. Full transcript in link. Behind the push for another Calgary Olympics. What is it, exactly — and who gets to tell it?